Adam CPW Plus M range are all round, multi-purpose weighing scales. With all the features of the CPW Plus Range, but with a bigger platform size – 500mm x 500mm – and has its own internal rechargeable batteries. Perfect for commercial or personal use as a Postal Weighing Scale, Parcel Weighing Scale, Industrial Weighing Scale. Ideal for using in a Workshop, garage or even at home. 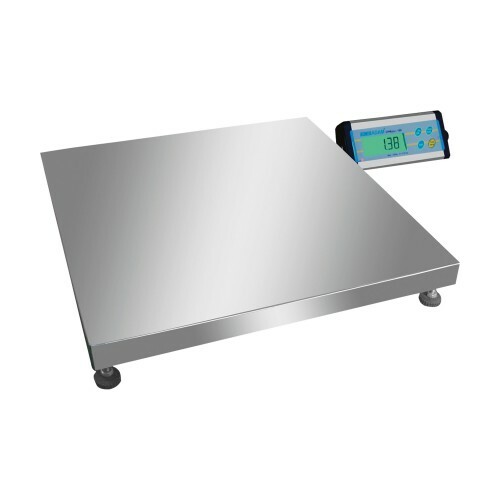 The Adam Equipment CPW-plus M models are multi-purpose industrial scales created for easy use. Featuring different options for units of measurement, portability, and an easy to read backlit indicator, the CPW-plus M scales are durable and dependable for your every weighing need.